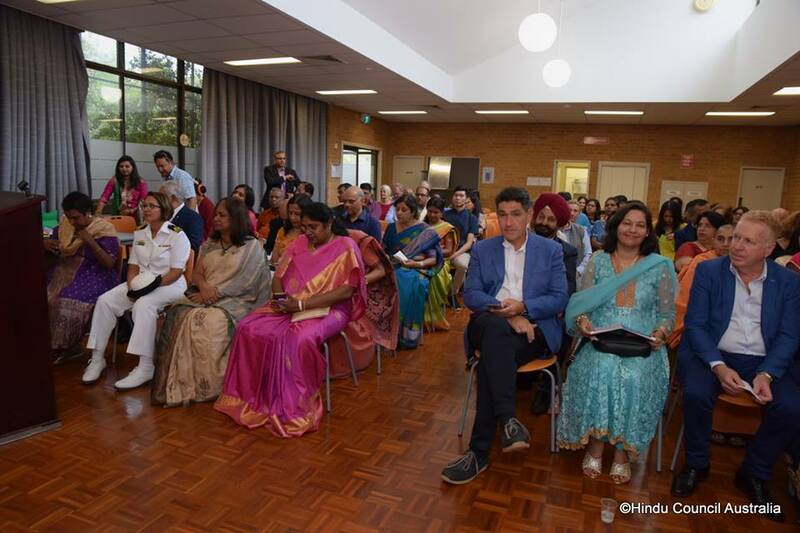 As part of International Women’s day celebration, Hindu Council of Australia organises Gargi Award function to appreciate and honour women’s achievement and contribution in various fields. 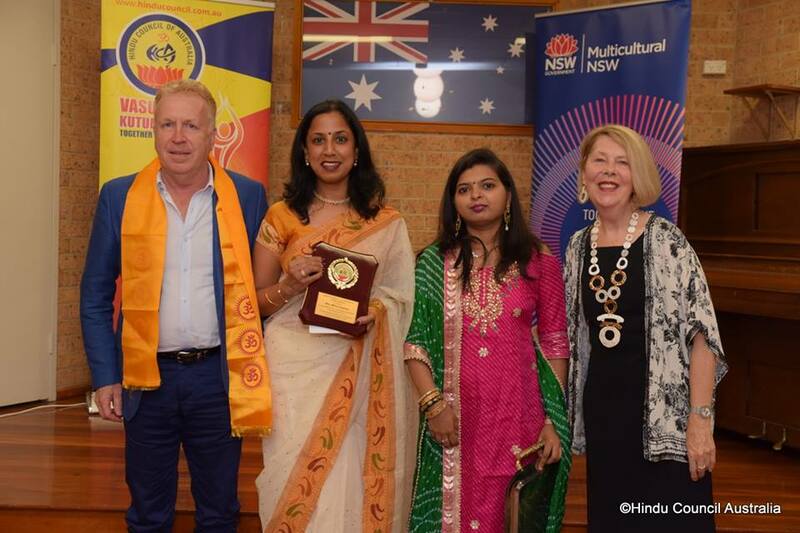 The concept of Gargi Award was started in 2018 with the intention to institute an award for outstanding women in Australia who make a good role model and inspiration for younger generation. 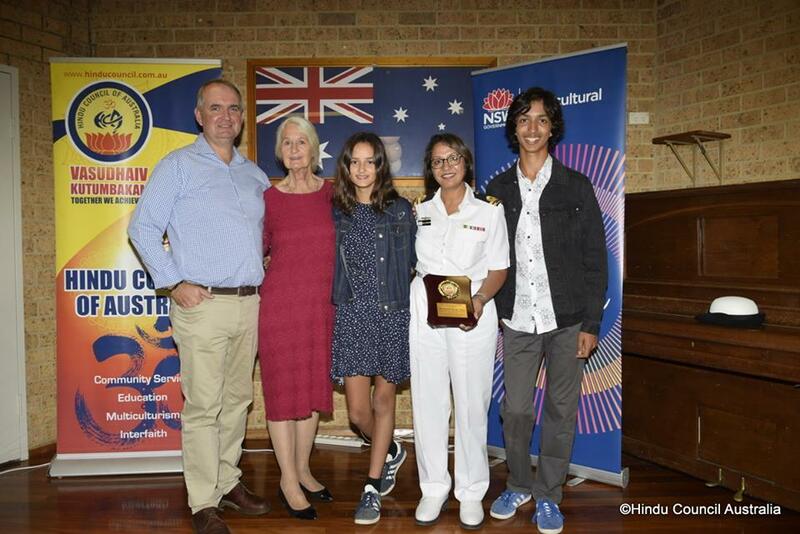 The award is set for various categories like Sports, Journalism, Performing arts, Defence, police and emergency services, Community services, language and culture, carer services, Educationist and it keeps growing every year. The award is named after an ancient Indian philosopher considered to be the first woman philosopher Gargi Vachaknavi ( 7th century BCE). 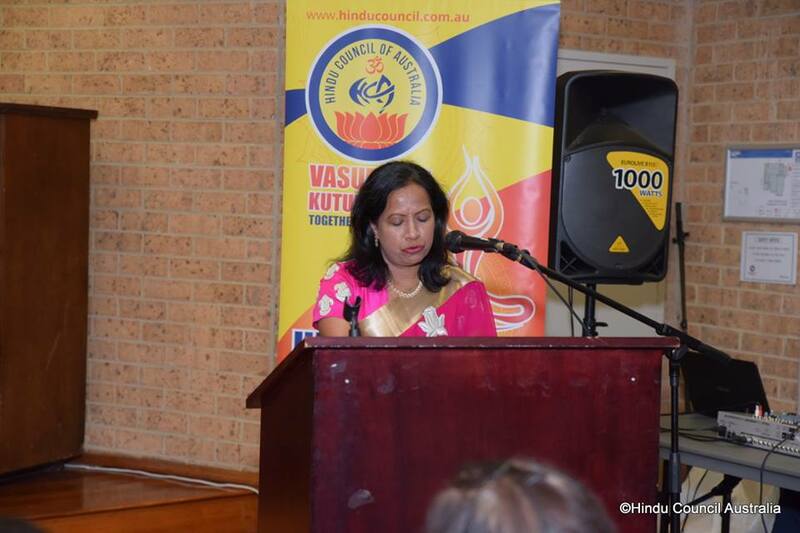 She is honored as a renowned presenter of the eternal knowledge in Vedic Literature. The event started from 5.10 pm with guest welcome and drinks. The award ceremony was planned in such way not only to appreciate and honour the winners but also to encourage the performing arts and cultures by children. The event had variety of dances performances from children. Following guest attended the event. There approximately about 92 people attend this event . There were representation from various other organisation, local community and media & press . 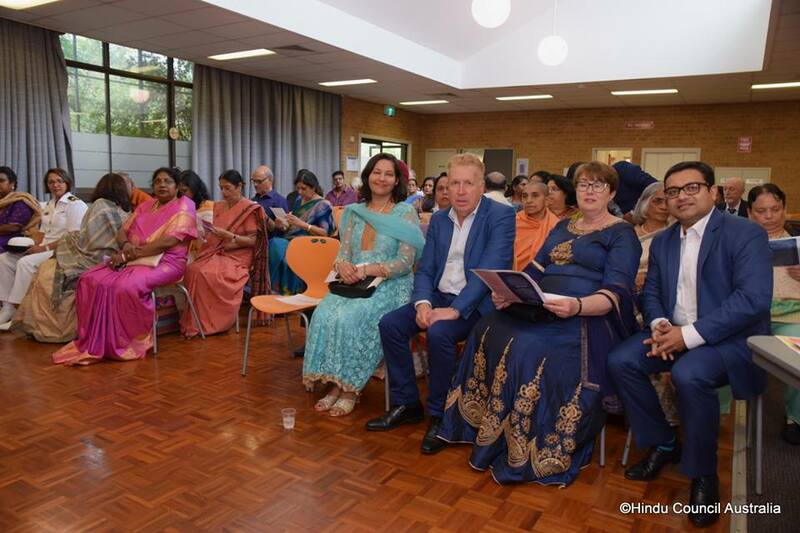 This Gargi Award ceremony is well reached in the community and HCA expect much more responses next year. 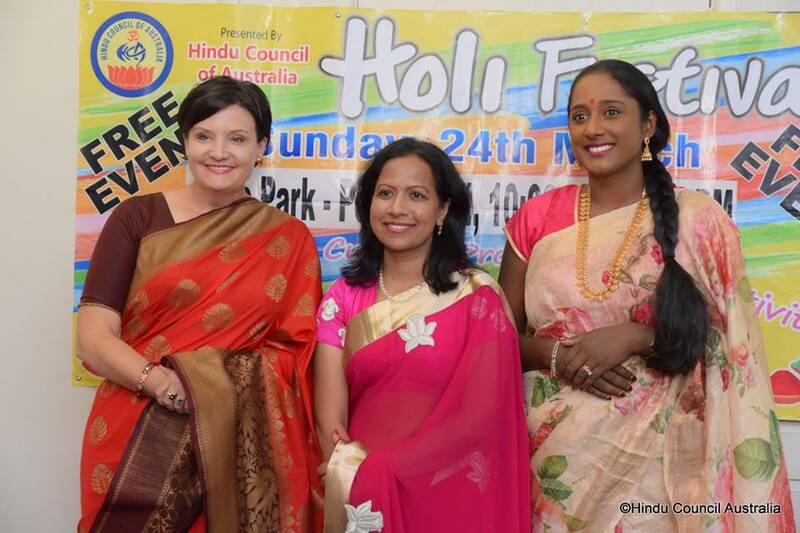 HCA appreciate Multicultural NSW for their generous support and encouragement for women. HCA is looking forward for a greater event next year with participation from all states in Australia. HCA will start the nomination and marketing process well in advance to allow adequate time for participation across Australia. Click here to find out more about Gargi Award and to nominate someone for the award. Self nominations are encouraged.